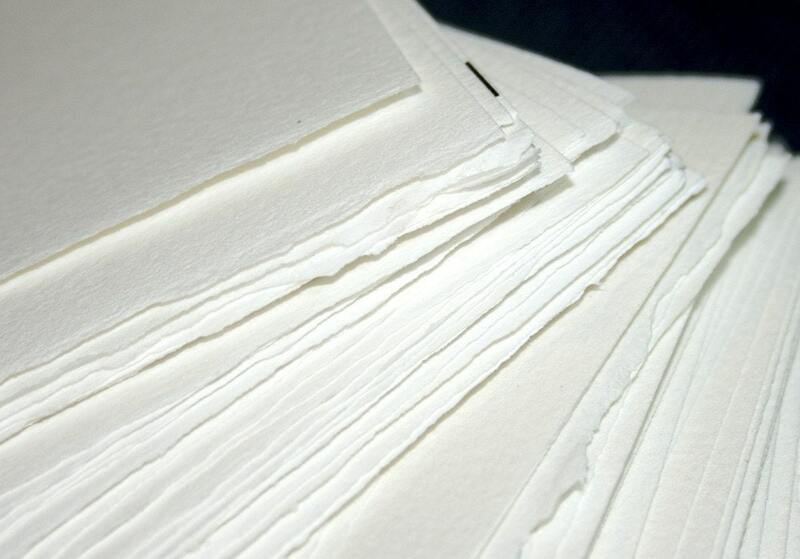 I use this paper for my photographic note cards, because I love the way the photos print on the textured paper! But to save money, I buy 22"x 30" sheets and cut them down. These ends are what's left after I trim the cards. They are be great for use in collage & multi-media artwork, scrapbooking, to be made into gift tags, mini-notebooks, those cute little matchbook notepads or ACEOs. Watercolor painters use them for color value studies and tests. 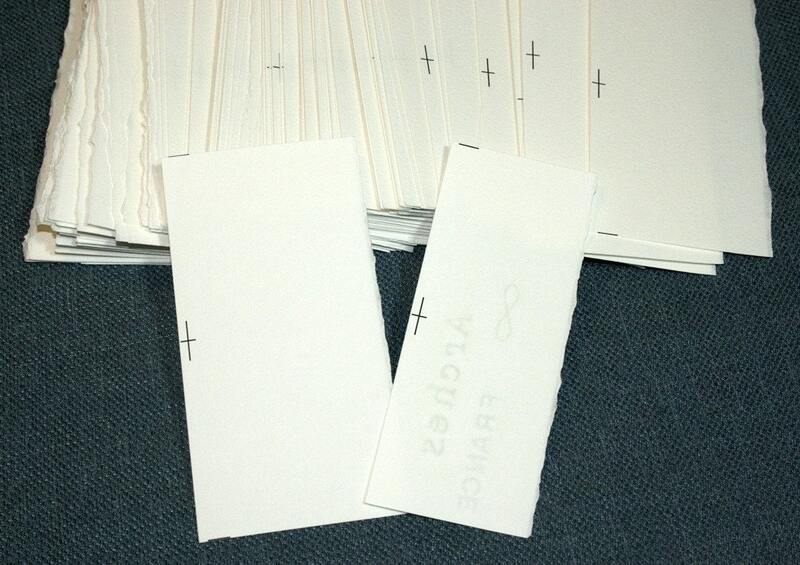 They could even become display cards for earrings or small jewelry pieces. I love the idea that they will be recycled and find new life in someone else's handmade creations! - Most pieces are 5.5" long and range from 2.75" to 3.125" wide. A few are longer & narrower, approximately 6" long and range from 2" to 3.25" wide. - Nearly every piece has that wonderful watercolor paper deckled (ruffly) edge on one of the long sides. - Approximately 20% (or 1 in 5) has the Arches watermark. 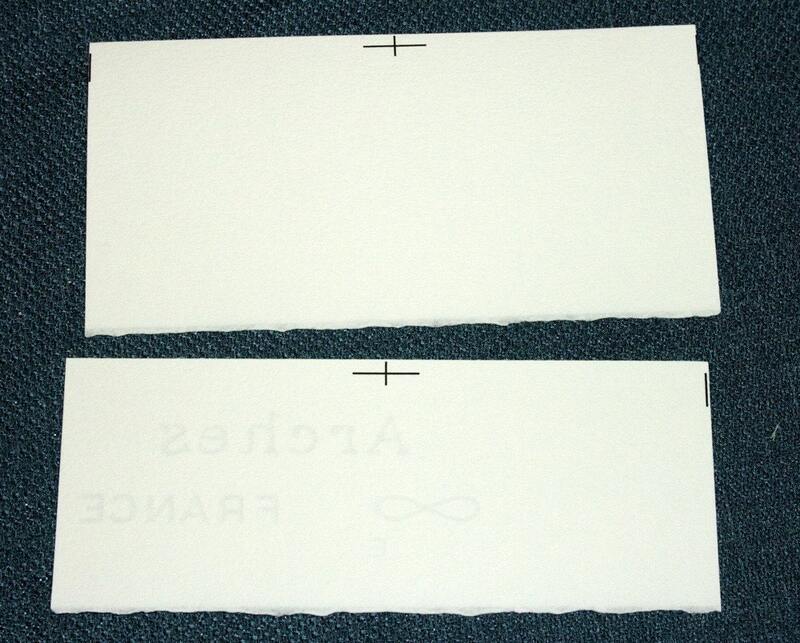 - The pieces have small black crop guide marks on one side, as shown in the photos. I'm happy to ship to other locations, just send me a note and I'll get an estimate for the shipping cost. This item was sent quickly, and was just as described. Orange Cat Art sent me an email that they had received my order and planned on shipping it out the next day. I appreciated the communication on their part. perfect size for what i am going to use these for. i am glad found them here in orangecatart... thank you jill for having these avaialable. I love Arches paper so having these small pieces to practice on is great. Fast shipping too! Thanks! Wow what a deal! I always avoided trying out Arches because I was afraid to like it because it was so costly. Thankfully, I tend to draw very small pictures and these scraps are absolutely perfect!